Losing weight is a process. For some, it is an easy deal, for some it is a mission impossible. Basis of each of these processes is simple, stay mentally strong and there will be no problem. This is because fighting obesity is all about fighting bad eating habits, which is not an easy battle. Also, many people make a mistake and venture into dieting without proper preparation first. It is not easy to apply strict rules of dieting when bad eating habits have been present for years. Sometimes, it is better to start reducing amount of food gradually and also slowly excluding certain food types from the menu. But, is there a way to eliminate extra pounds quickly and painlessly? How to lose weight fast and stay healthy? Combining dieting and physical activity has to be done for fast weight reduction. Either one of those two would also be enough, although it would take more time. But desiring to be fit fast, people sometimes make mistakes and reduce the intake of food drastically while exerting themselves with strenuous training sessions. It is true that this will burn fat a lot, but it might also easily lead to dehydration and exhaustion. This will require resting and eating, which will definitely not be of help in the weight reduction process. So, a diet needs to have enough calories for all activities but the food taken in has to be healthy. This means that fruits and vegetables must comprise most of meals, but there should also be food that contain proteins, for strengthening the muscles (lean or bulked up shape, depending on the type of workout performed). Also, intensity of the exercising should be set at the appropriate level for the practitioner. It is recommended for the most of the cardio workout to be based on cardio exercising. People who suffer from obesity should start with light exercising and do walking and jogging most of the time. Later on, intensity increases. Also, cardio workout should be mixed with some muscle toning because muscle strength will definitely be needed if workout level is constantly going up. 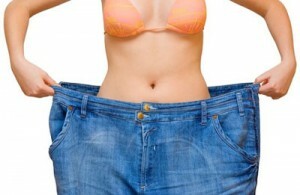 It might not be so easy to lose weight in some natural way and in some relatively short time. Fast dieting might be able to have some success in that, but it is really problematic to keep that weight off once diet is over, because people return to old ways of eating quite easily. Fast weight loss: it may be easier than you think !